INK.T.S. is a pioneer in the development and manufacturing of digital printing inks and today is a market leader supplying ink solutions to users, distributors and original equipment manufacturers worldwide. 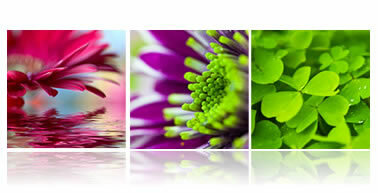 We offer a range of solvent ink solutions for the wide and super-wide format printer market. INK.T.S. 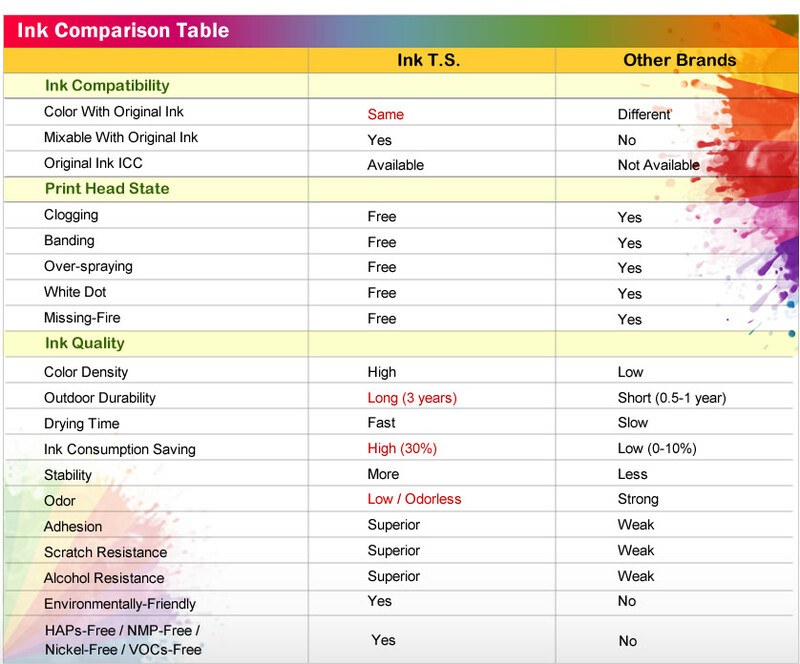 delivers high-quality inks with an unrivalled batch-to-batch consistency. ▪ Use only the best raw materials and the best global suppliers. ▪ Gain ISO 9001:2000 certification and benchmark to the highest international standard in state-of-the art facilities. ▪ Ensure the quality of our products with 21 rigorous tests and requirements. ▪ 3 years Outdoor Durability: The inks are designed to have an excellent light fastness and outdoor durability up to 36 months without the need for lamination. ▪ Exceptional Drying Properties: Inks are designed with exceptional drying properties, providing a faster turnaround time from one printing job to the next. ▪ High Optical Density: High optical density and wide color gamut enable a broad range of vibrant printed colors and consistent shades.